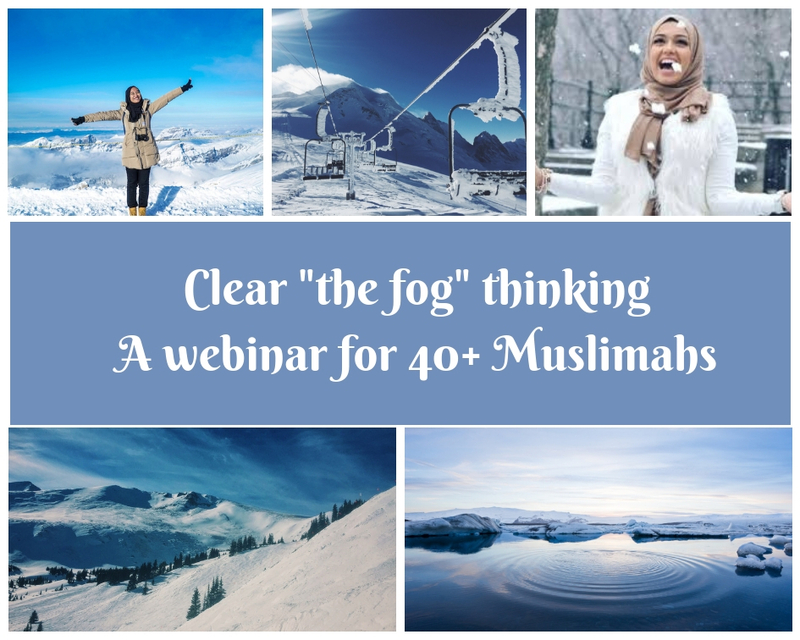 ARE YOU A 40+ MUSLIMAH? Are you looking at a near empty nest with independent kids? Maybe you are like me, divorced and no kids at home? Are you looking in the mirror and wondering who you are? Are you lost for a purpose now that mothering is mostly over? If you are married, has your husband become a stranger to you? Would you like to re-ignite your passion? If you are divorced/single are you struggling to fight off the messages that you are past your expiration date? Are you looking down the barrel of another 40+ years on this earth and unsure how to live a life of purpose and passion? DO YOU WANT TO FEEL FABULOUS AFTER 40?
" Clearing the FOG thinking"
where I will go through the steps to clear the FOG thinking that is holding you back from feeling fabulous. SIGN UP TO WATCH THE WEBINAR NOW!